Why do you enjoy farming? "One of the greatest blessings is being connected to the natural world. As a farmer, I get to see the sunrise every day, I get to see the birds and the wildlife. You're out there breathing fresh air, knowing what you're doing because you're so connected with the land. It's tremendously gratifying." How did you get in to farming? Lynne considers herself a latecomer to the farming game. After graduating from University of Massachusetts, Amherst, Reeck spent twelve years working in media. "The whole time I was trying to get into farming," she explained, but faced obstacles of finding land that was both farmable and affordable. "I come from a long line of farmers, but in my family the sons are the first ones to inherit the land. And even then, women were not typically looked at as farmers, even in those days. It was a groundbreaking concept." 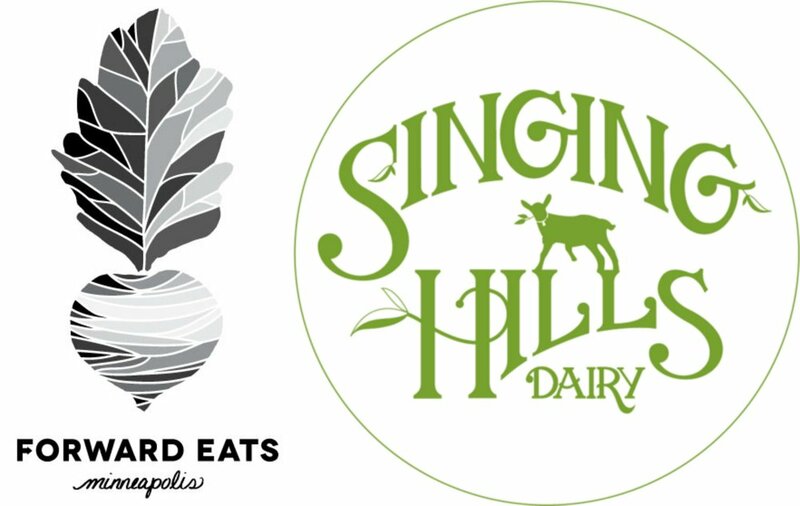 Her struggle to find land was long, but she finally purchased the place that is now Singing Hills Goat Dairy in 1996. The land was in such great disrepair that she did not being farming it until 2008. Some of the flock in their summer pasture. Photo cred: Singing Hills. Where would you go on your ideal vacation? Lynne works long hours on the farm every day, from milking her goat flock two times a day, to spending sometimes up to 10 hours making a new batch of fresh cheese, to spending entire days prepping for and selling her product at farmers' markets. I asked where she would go on her ideal vacation, if she ever found the time to take one. " This is going to sound pathetic," she laughed, "but one of my favorite places in the whole world is the north shore of Lake Superior. I would go there." Herb-coating ball of fresh chevre. Photo Cred: Singing Hills. At the end of the day, Lynne admits that she thinks farming is one of the most difficult and riskiest occupations, but that small farms are critical to our planet's future in the face of global warming. "If you have a world full of large farmers," she explains, "and one large farmer goes under due to bankruptcy, crop failure, or whatever the reason might be, we're kind of screwed. Small farms create a better, more stable web." "I have no regrets about choosing such a laborious, risky job. I took a lot of risks, not all of them panned out, but I feel like the work I do is good work. I really just try to do good work." Boom. I think so too. If you don't think all that is cool, I don't know what is. I have so much admiration for anyone who spends EVERY waking hour on their passion. I think the world needs more people like Lynne. You can find Lynne with her cheese and meats at the Mill City Farmers' Market most Saturdays, and the Kingfield Farmers' Market some Sundays. Ames Farm honey! Stay tuned for an inside look at Minnesota's premiere honey producer!